It may be 29 years since Freddie Mercury performed his last live gig in the UK but for one night only this September, Gary Mullen & The Works will transport you back to the heady days of the rock super group. Perhaps best known for his record breaking victory in ITV1’s Stars in Their Eyes, Gary Mullen formed his band The Works back in 2002 and together they have performed in theatres, arenas, and festivals to sell-out crowds in the UK, USA, Europe, New Zealand, and South Africa, to name a few. Now he brings his spectacular show One Night of Queen, said to be the ONLY Queen tribute to combine the look and sound of Freddie Mercury, Brian May, John Deacon and Roger Taylor, to St George’s Hall, Bradford. Featuring a host of timeless anthems including; We Will Rock You, Bohemian Rhapsody, Another One Bites the Dust, Fat Bottomed Girls, and We are the Champions. Get ready for a nostalgic return to Queen’s heyday. 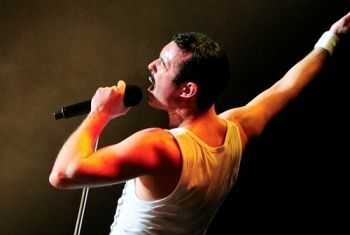 One Night of Queen is a phenomenal spectacle rock-n-roll show that pays tribute to one of the greatest bands of all time. We Will, We Will Rock You!